Diigo is a CNET Webware 100 finalist! 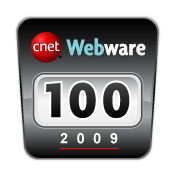 We’re excited to announce that Diigo has been nominated as a finalist for the Webware 100 2009 Awards put on by CNET in the Browsing category. For Diigo listed among major platforms like Firefox, Internet Explorer 8, Google Chrome /Readers, My Yahoo, and others is quite awesome! You can vote HERE! One vote allowed per person, per awards category. Voting will end on April 30, 2009, at noon Pacific Time, so be sure to vote right away, and spread the word to other fans of Diigo. < Previous Tip of the day: "Get Annotated Link"
Next > Diigo ~ Webware 100 winner! Congratulations! You have my vote. I tried to vote, but having registered as a CNet user, found CNet’s software to be ferociously messed up. I would be logged in on one page, and not be logged in on the next. I’d try logging in again, on the page that voting would take place on, only to find that the login only seemed to work on the site’s main page. Finally, I just said “to H*** with it”, and gave up. Sorry. Tough field! Lots of good choices. Looking for you in the winners circle!